Please Whitelist This Site in Your Ad Blocker! It takes time and effort to write these articles and authors need to earn. Please consider white listing this site in your ad-blocker if you consider it useful. 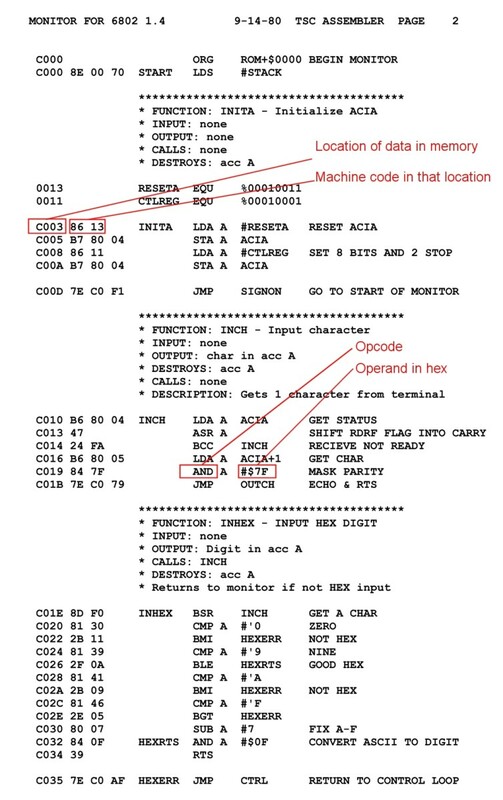 The base 16, hexadecimal (abbreviated to hex) numbering system is regularly used in computer coding for conveniently representing a byte or word of data. 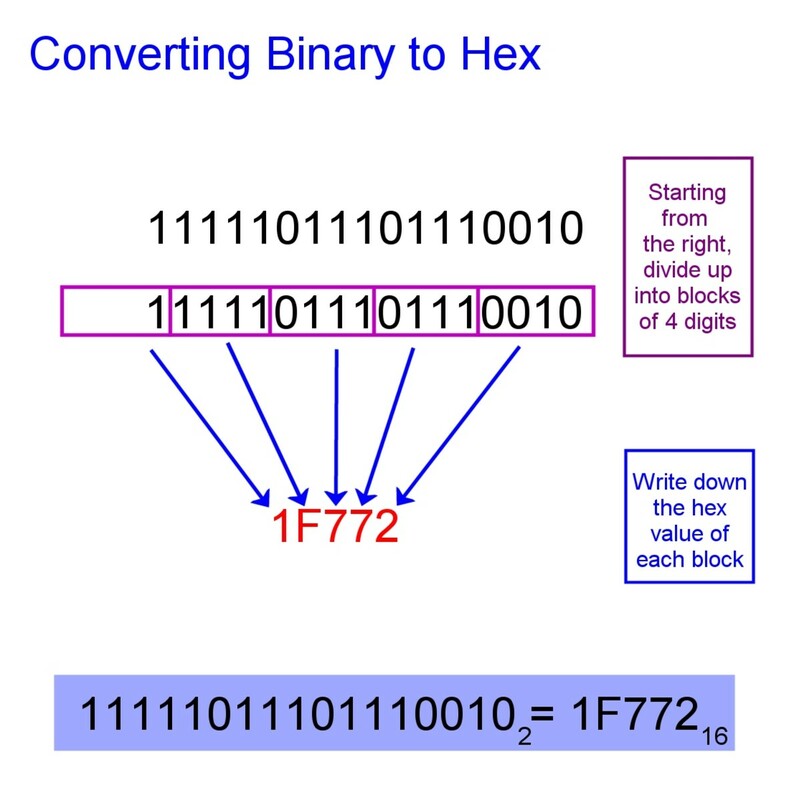 This guide shows you how to convert from hex to binary and binary to hexadecimal. Before we learn how to convert hex to binary, let's try and understand how the base 10 system works. The decimal, denary or base 10 numbering system that we use in everyday life makes use of ten symbols or numerals: 0, 1, 2, 3, 4, 5, 6, 7, 8 and 9. Similarly when you get to 99, there's no numeral for one hundred, so you write one hundred as 100. So 145 really means "one hundred, 4 tens and 5 units" although we just think of it as one hundred and forty five. 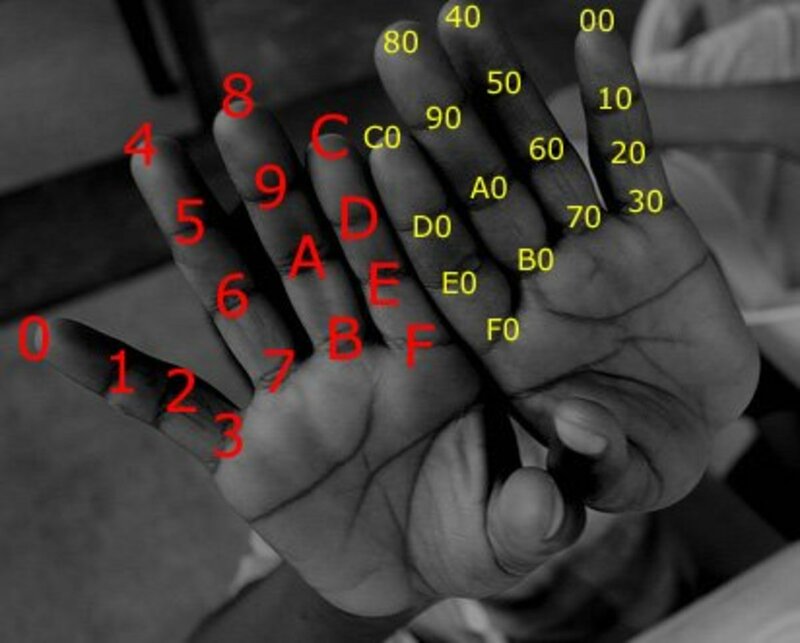 Hexadecimal or "hex" is a numbering system which uses 16 different numerals. We saw that decimal used ten numerals from 0 to 9. Hex expands on this by adding six more, the capital letters A, B, C, D, E and F.
Simply continue with A...B...C...D...E...F which represents 10, 11, 12, 13, 14 and 15 decimal. In the decimal system, we saw that when we got to nine, there was no numeral for ten so it was represented as 10 or "one ten and no units". In the hex system when we get to F which is 15 decimal, we have to represent the next number sixteen as 10 or "one 16 and no units". The binary system used by computers is based on 2 numerals; 0 and 1. So you count 0, 1, there is no numeral for 2, so 2 is represented by 10 or "one 2 and no units". In the same way that there is a units, tens, hundreds, thousands place in the decimal system, in the binary system there is a units, twos, fours, eights, sixteens place etc. in the binary system. Binary, decimal and hex equivalents. 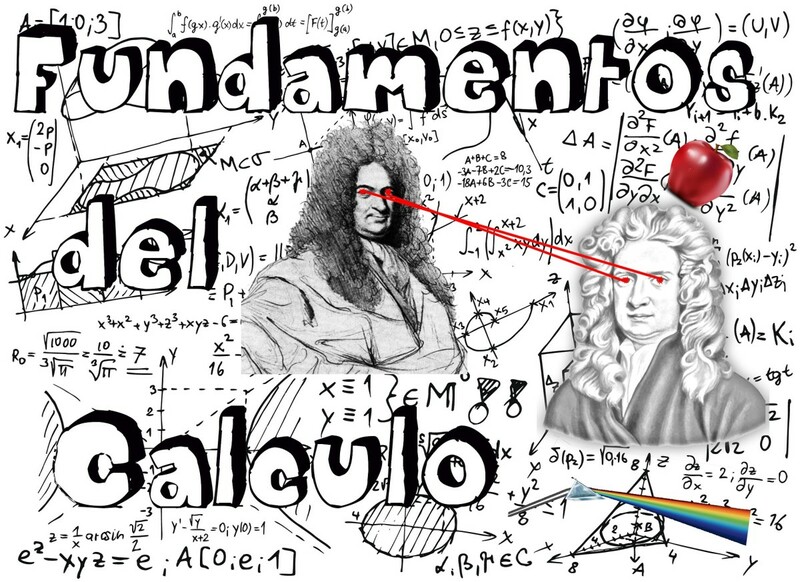 If a number isn't decimal (base 10), the base can be explicitly indicated by a subscript to avoid confusion. Sometimes the subscript is omitted to avoid excessive detail if the base has been specified earlier in a discussion or if numbers are listed in a table (e.g. numbers may be indicated as hex in the title of the table). Hex is very easy to convert to binary. Write down the hex number and represent each hex digit by its binary equivalent number from the table above. Use 4 digits and add insignificant leading zeros if the binary number has less than 4 digits. E.g. Write 102 (2 decimal) as 00102. Then concatenate or string all the digits together. Discard any leading zeros at the left of the binary number. 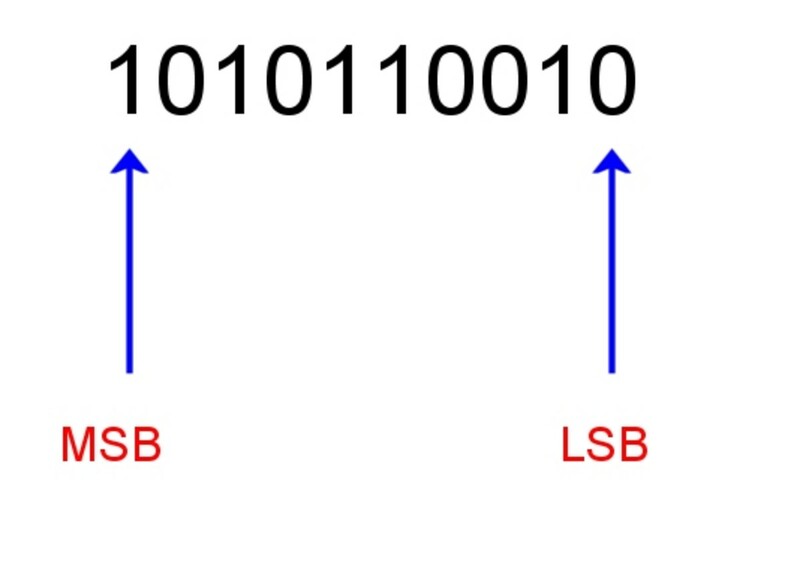 For a binary number, the most significant bit (MSB) is the digit furthermost to the left of the number and the least significant bit (LSB) is the rightmost digit. 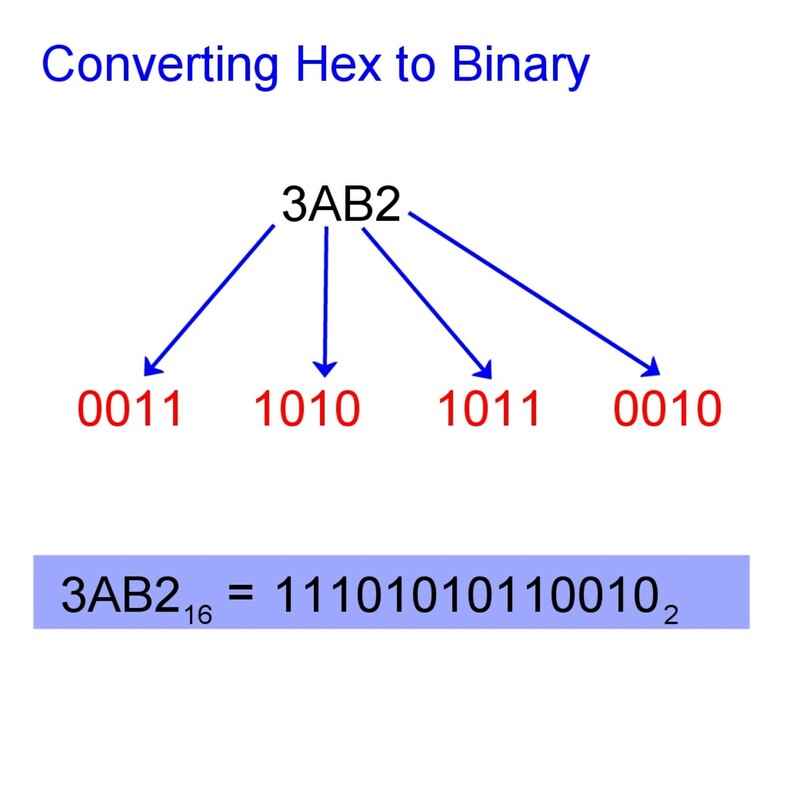 Binary is also easy to convert to hex. Start from the least significant bit (LSB) at the right of the binary number and divide it up into groups of 4 digits. (4 digital bits is called a "nibble"). Convert each group of 4 binary digits to its equivalent hex value (see table above). Concatenate the results together, giving the total hex number. What is Hex Used For? Because of the ease of converting from hex to binary and vice versa, it's a convenient shorthand for representing byte values i.e. numbers from 0 to 255. Also it's compact requiring only 2 digits for a byte and 4 digits for a word. What is Binary Used For? Why is Binary Used In Computers and Electronics? What is the hexadecimal value of 10110? 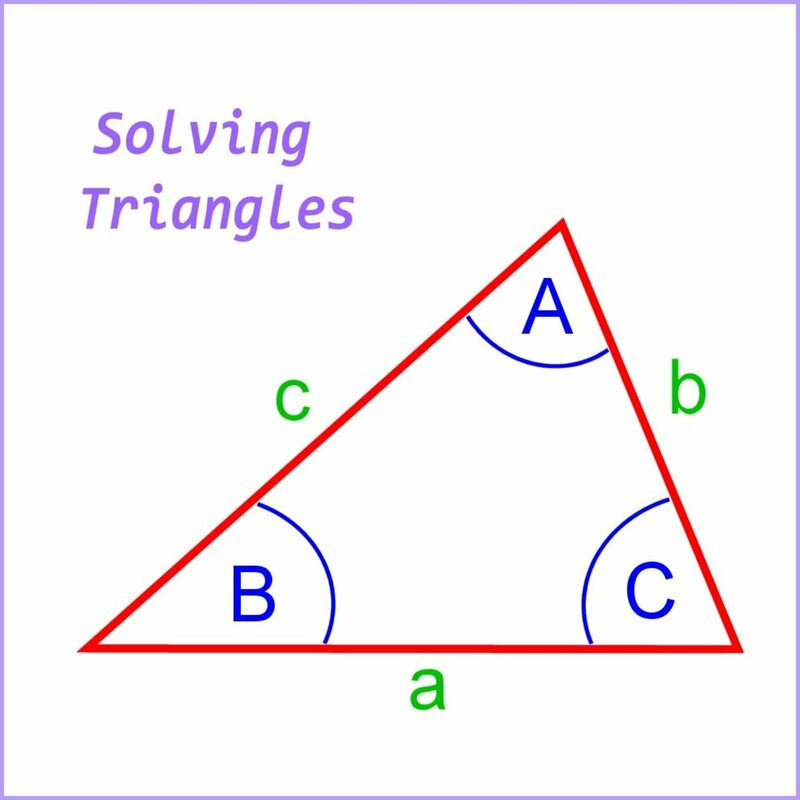 What is an octal number? Octal numbers use 8 symbols rather than 10 as in the base 10 or denary system we use for normal counting. 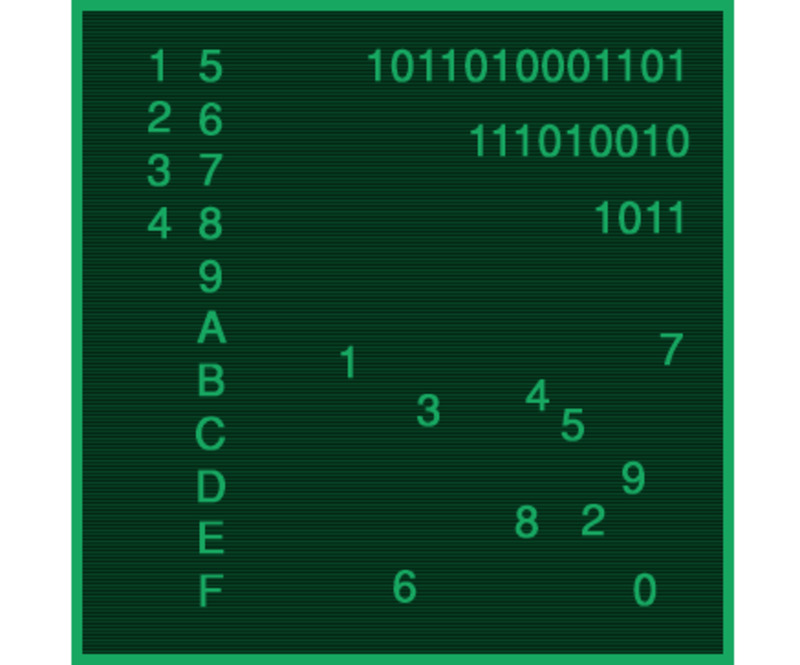 This is like the way ten is represented in the base 10 system by the symbols 1 and 0, i.e. we write ten as 10 because there's no symbol for ten. 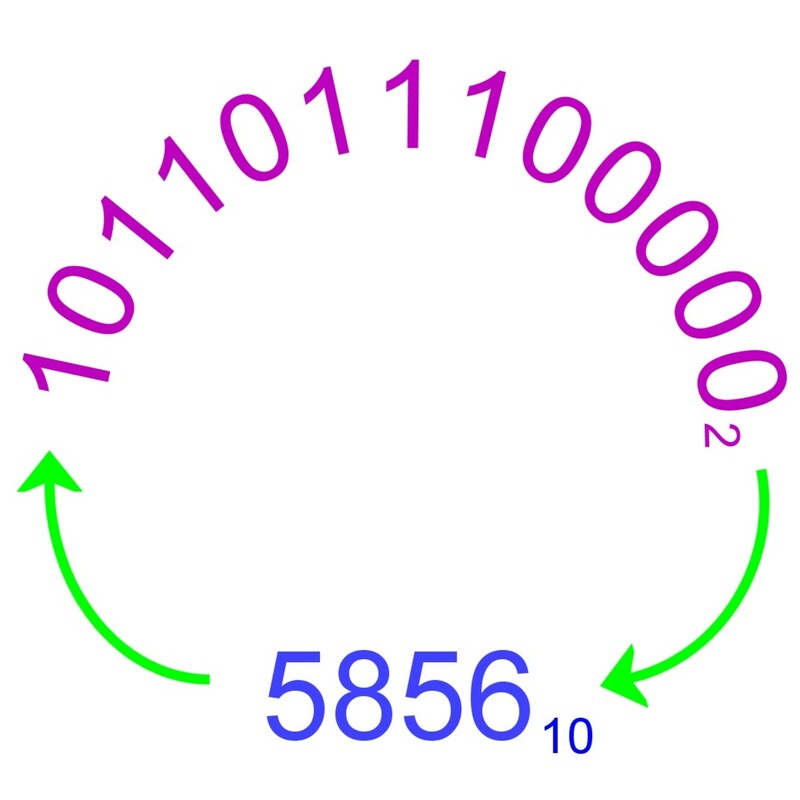 Everytime an octal number reaches a power of 8, we add a new place digit. What is a use of octal? 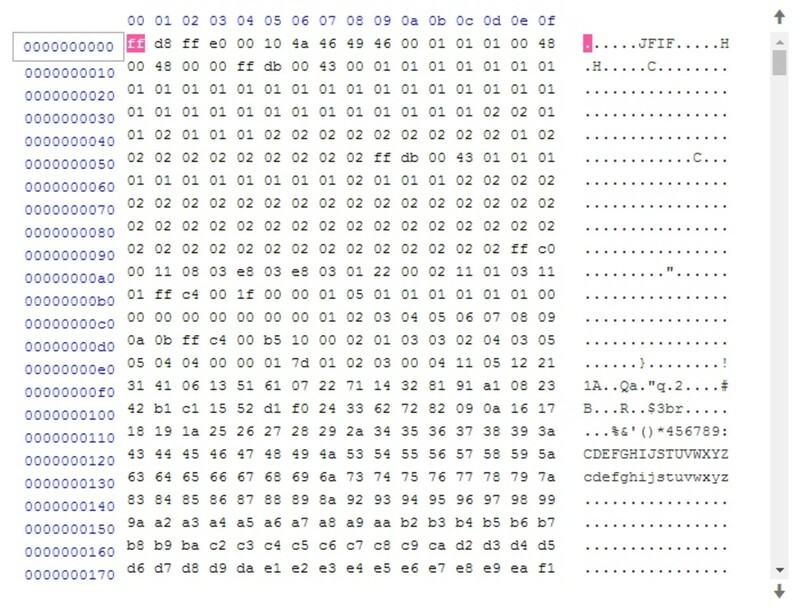 It can be used as a shorter representation of binary (just like hex). For instance, the number 01011101 can be grouped into groups of three digits (in this case add a lead "0"), The number then becomes 135 octal. 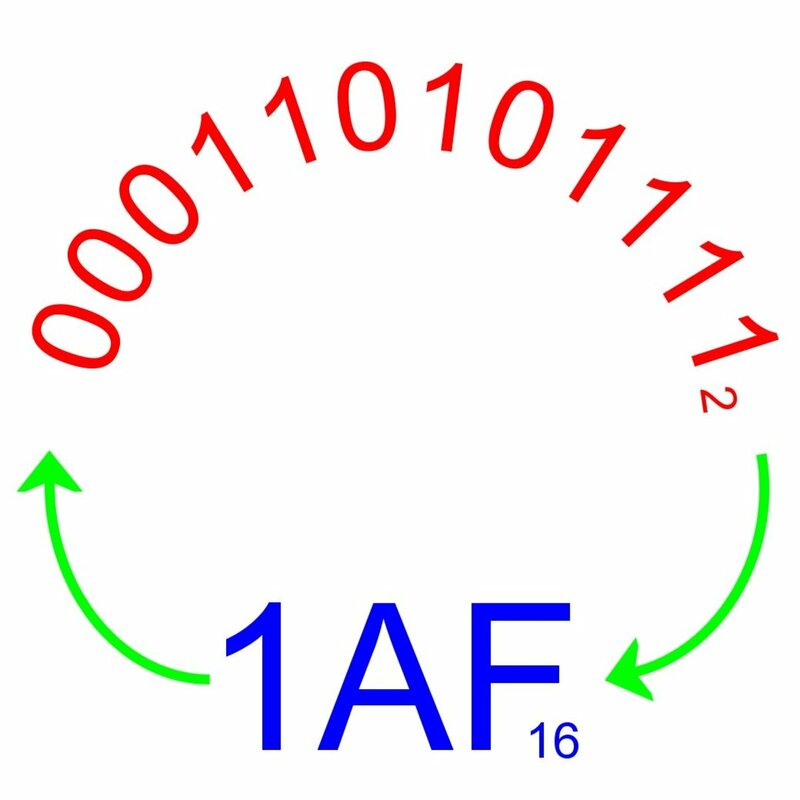 Alternative Number Systems: What Are Binary Numbers?